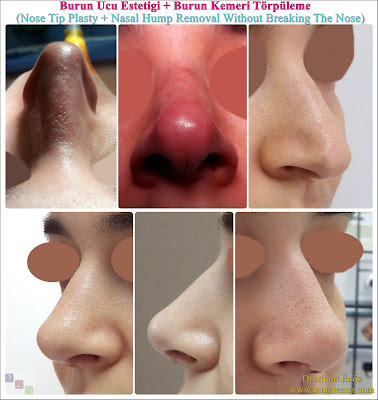 ﻿﻿﻿﻿​Nose tip plasty operation (or tipplasty surgery / nose type rhinoplasty / type plasty surgery) is ideal for patients who have problems only in the nose tip region (nose drop, nose tip asymmetry, large nose tip etc.). 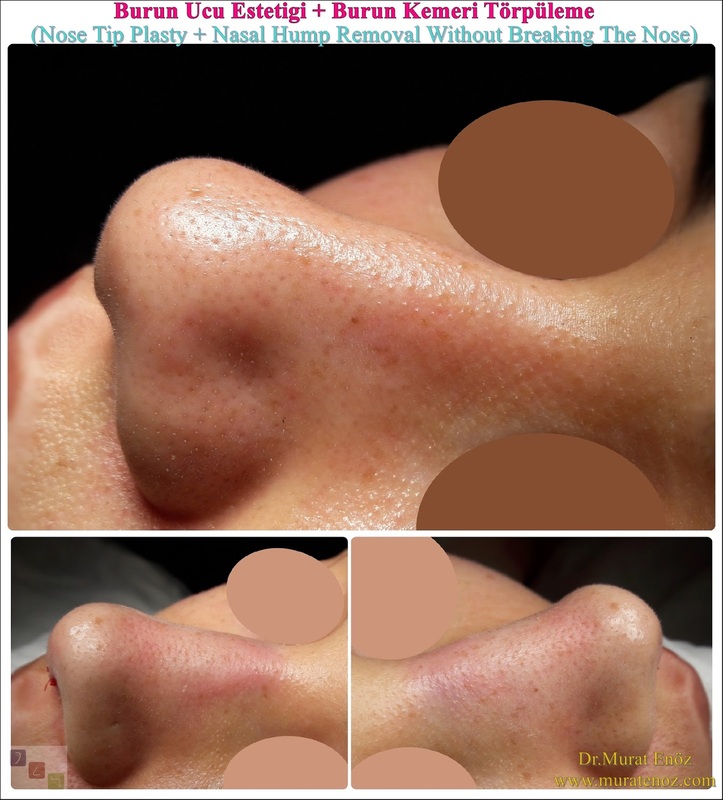 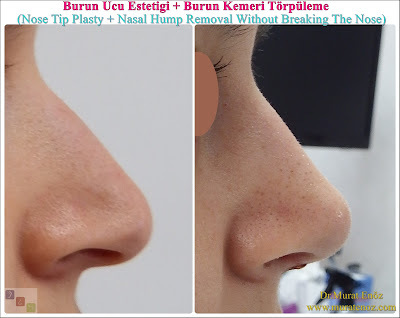 Unbuffered nose tip surgeries has become an application we have often made. 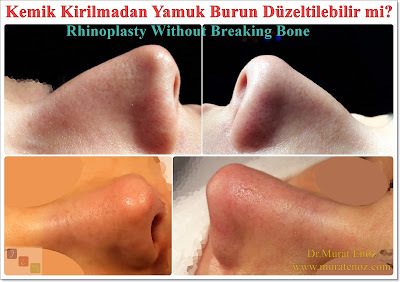 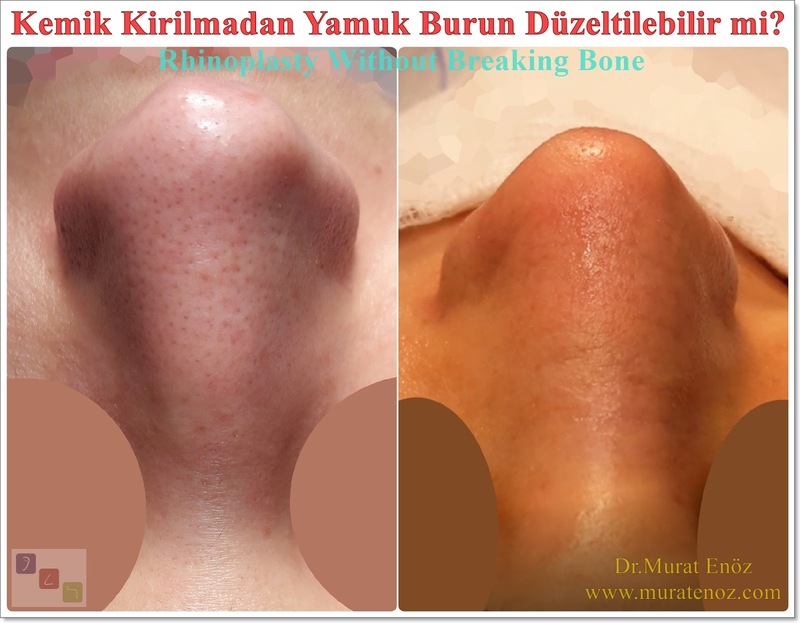 - Unlike rhinoplasty operation, no bone broken techniques are applied to the nasal bone. 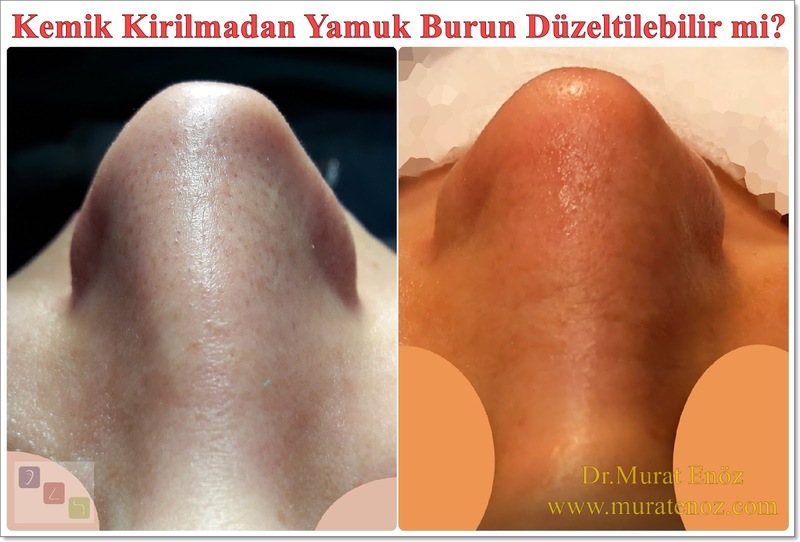 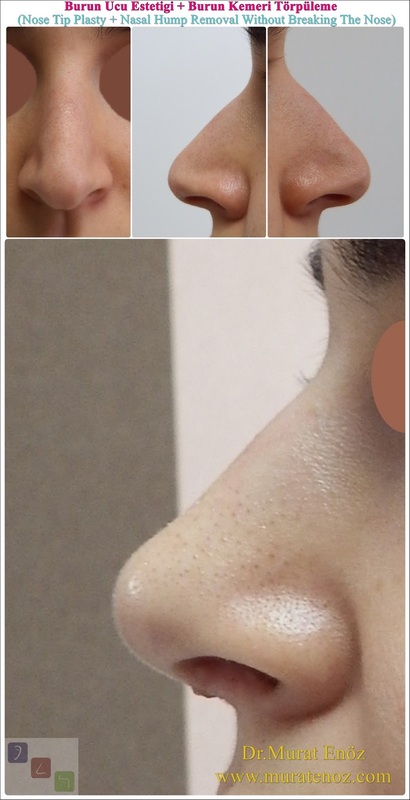 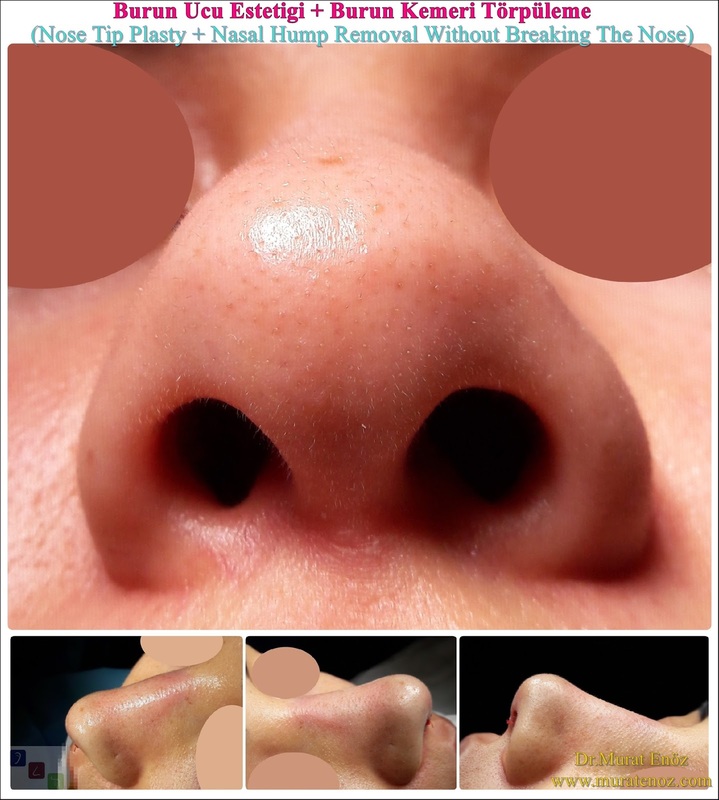 After the nose tip surgery, there is no visible jaundice, no bruising (if nasal hump reduction is performed, the bruise appears on the nose). 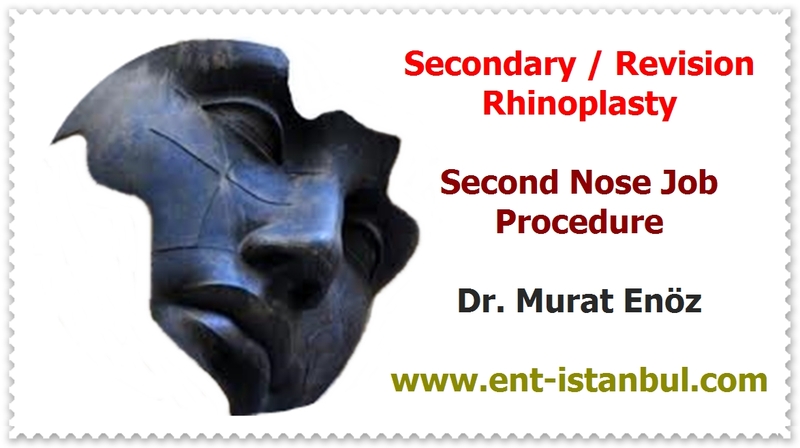 - Nose bandage and external nasal splint are not applied (if nasal hump removal is performed at sametime, nos ebandage can be applied). - If septoplasty operation and turbinate radiofrequency operation for nasal breathing problems are performed during operation, silicone splint or dissolving buffer may be placed in the nose. 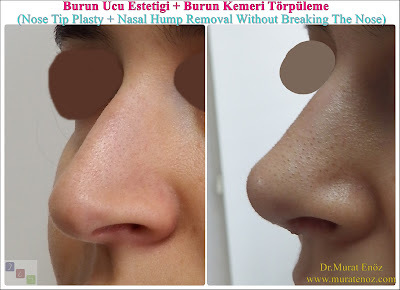 - As the nosebone is not touched like nose tip aesthetic surgery, the impact of the nose during sleep may not cause problems in the short term; patients with nasal aphasia are still sleeping for at least 3 weeks on the nose (position on the face). 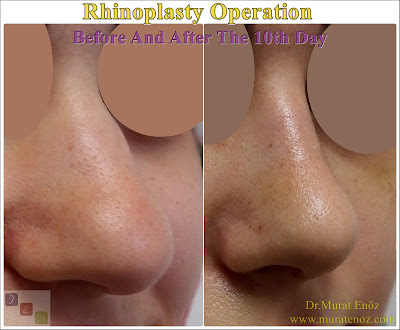 - I usually prefer open surgical nasal aesthetic surgery and all the stitches on the nose tip will spontaneously fall within 1-3 weeks. 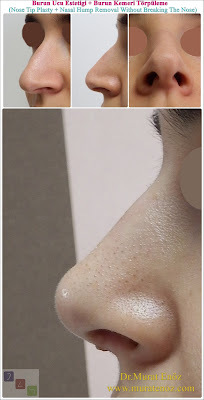 - Moisturizing drops and spray must be applied to the nose after the procedure. 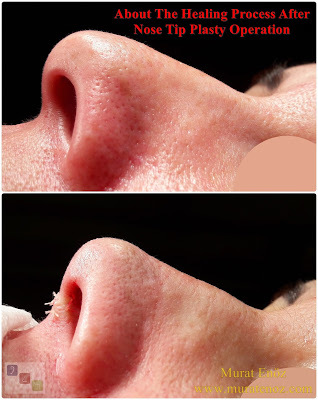 - There is an increase in nasal edema in the first week after the procedure and it usually decreases within weeks and this edema will cease to exist. 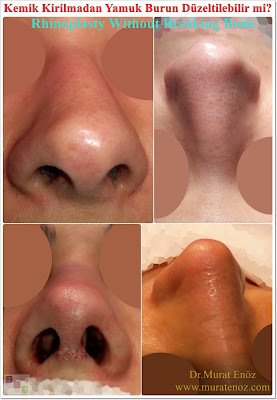 Patients with thick nasal skin may have more nasal edema.